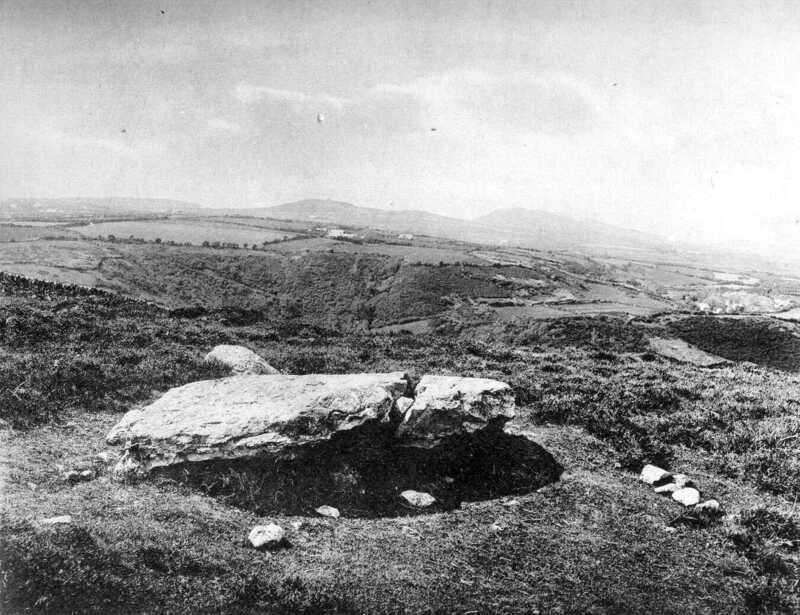 What remains of this Cromlech lies on the farm called Hendy on Mynydd Tir Cwmmwd, in the parish of Llanbedrog. There is only the capstone with one support partly lying underneath it, and a few rubble stones left, of what was once a fine Cromlech. It was destroyed about the year 1850, vide Arch. Journal 1857 p.205. The capstone has recently been split across near the east end, probably for a gate-post, although it has not yet been removed. It measures twenty feet six inches in length by seven feet six inches in width, and averages from one foot to two feet in thickness.